With new site templates being created every day, there are times when you find the theme you want after you have already created your site. 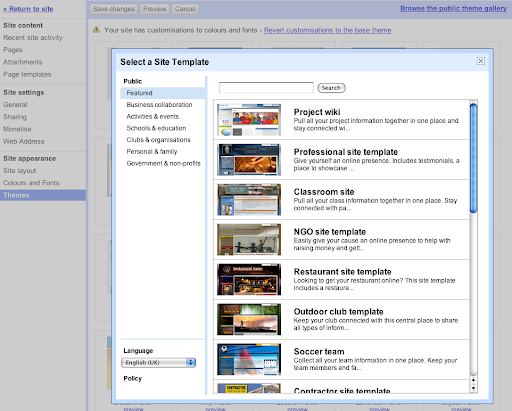 Based on your feedback, we added the ability to apply a site template’s theme to any existing site. To choose from the 100s of themes in the public theme gallery, select Browse the theme gallery from the Themes page (Manage site -> Themes), and start browsing. Try it out and let us know what you think on the forums.